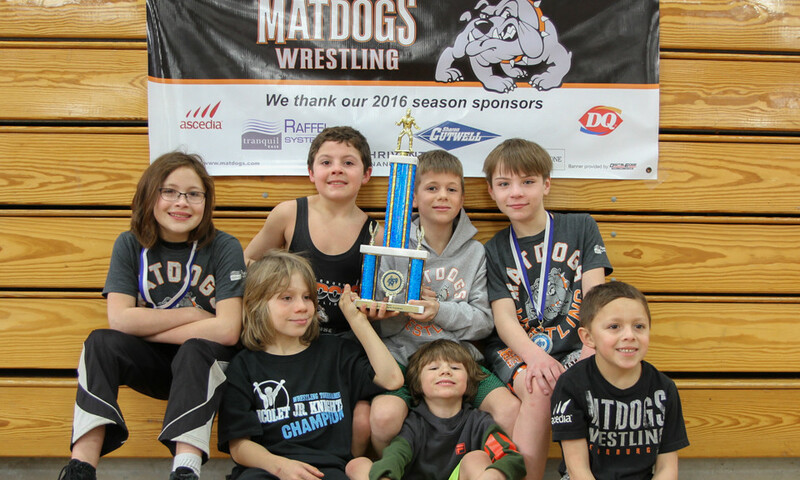 The Matdogs finished up the regular season at Nicolet and brought home the 2nd place team trophy. Way to go Matdogs! There were 23 Matdogs today. Denny, Cole, JJ, and Jacob placed 1st. Michael, Jonah, Cael, Louis and Evan P. placed 2nd. William, Nick, Peter, Bailey, Ollie, Brenden and Bryce placed third. Congrats to all our first-time regular youth tournament wrestlers: Cael, Nick, Peter and Brenden. Great effort by all! Thanks to all the coaches, parents and families members for your support!